*Please read on for more pictures and details about the program. Let me start by telling you exactly what Influenster is all about. It's a "program"/"community" for trendsetters and people that love to influence others by sharing products and brands they love. Each month, if you qualify, you get to try new/current products for testing and review. Sharing it via social networks, blogs and youtube. Who can try it and who does this program target? Anyone and everyone!.. If you love being the first to try out new products and pass on the buzz as well as have an active social online and off then this is for you!! How can you get a voxbox? Get started by clicking here: Influenster.. After registration make sure to unlock as many badges as you can that relate to you and your lifestyle =). That's about it.. Make sure to follow @Influenster on twitter as well as on Facebook for upcoming voxboxes. Keep checking back for new badges and be active on their social networks. The most active Influensters are the ones that get qualified for their voxboxes =).. Finally onto the actual box!! I know right.. its about time lol. First off, the box comes in with regular mail by usps. The packaging is a white cardboard box with the influenster logo/sticker on one side of the box. Inside of the package was neatly packaged. Nothing opened or damaged. I am so excited to try this Kiss Nail Dress Fashion that Sticks.. its my first time trying this type of product. I am so use to painting my own nails.. that i never really looked into these products. However, i have been wanting to try one.. so i cant wait! It's so great that i got the Venus & Olay Razor. Ive been using thier razors from the Embrace line for years now.. and i love it!.. I love Olay as well.. so the fact that they collaborated and i get to try their product is great.. I can't wait to try this the next time i shower! I love tea!!!! I usually drink Green Tea or Jasmine Tea.. so to change it up by trying these other flavors will be different. I am excited to try this tea pack from Stash Tea!. I will be trying it tonight!! I've actually never heard of Truvia.. so it is completely new to me!..I usually don't use sweeteners.. so this will be interesting to try. I am thinking about adding it to my juices when i make my fresh juice and adding them to my meals when i cook them. Can't wait to try this!! Overall I am so thankful for being qualified for this box!.. I am extremely excited.. i mean who doesn't like free stuff?! let alone they are great sizes!! I will be doing a post in the future that will provide a more detailed review of each product as well as pictures!! Thank you again Influenster for this lovely box of goodies! Ciao ciao for now! This is a cool program that I will check out. 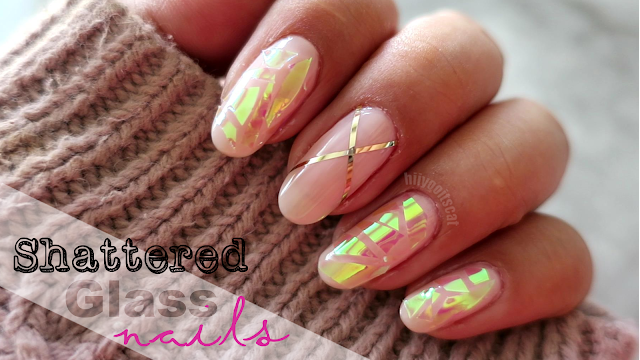 What did you think about the nail stickers? I second the what did you think of the nail sticker.